Professor Steiner received her B.A. from Brown University and her Ph.D. from Yale. She is the author of two books, Documentary Culture and the Making of Medieval English Literature and Reading 'Piers Plowman'. 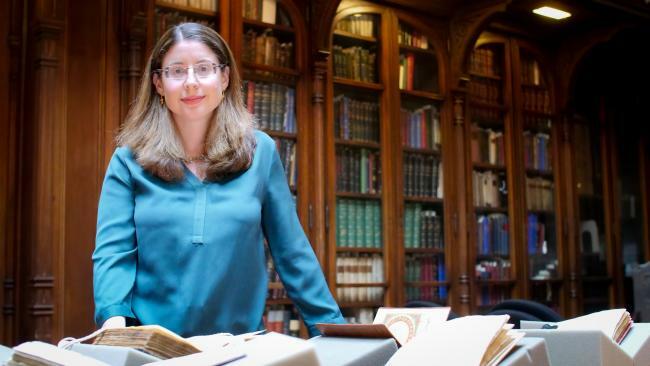 Her research interests extend to Lollard literature, medieval drama and ritual performance, and Jewish-Christian relations in the Middle Ages. Her teaching interests also include Old English literature, Chaucer, and poetry of all periods. Her Twitter feed, @PiersatPenn, has almost 4,000 followers. For more information on the 60-Second Lecture Series as well as upcoming lectures, visit www.sas.upenn.edu/60-second.